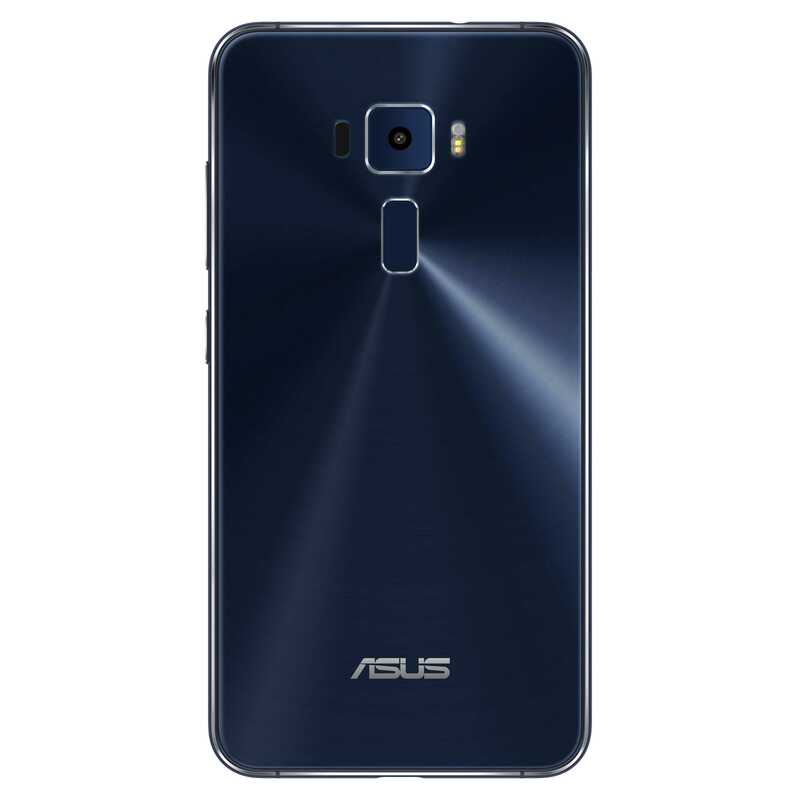 ASUS has launched some new phones in the Zenfone 3 series which are priced quite higher than the previous ones. The Zenfone 3 comes with an all new design, some camera improvements along with other things. One thing I can tell you that they have made some real improvements in all the aspects. Though the sudden increase in the price will surely confuse the users. So today we will find out, is ASUS Zenfone 3 worth buying or not by doing its full review. There are actually 2 variants of the Zenfone 3 viz. ZE520KL and ZE552KL with different specifications. The one which we received for the review was the ZE552KL with 5.5 inch screen and higher specs. The one thing that changed for good is the design. 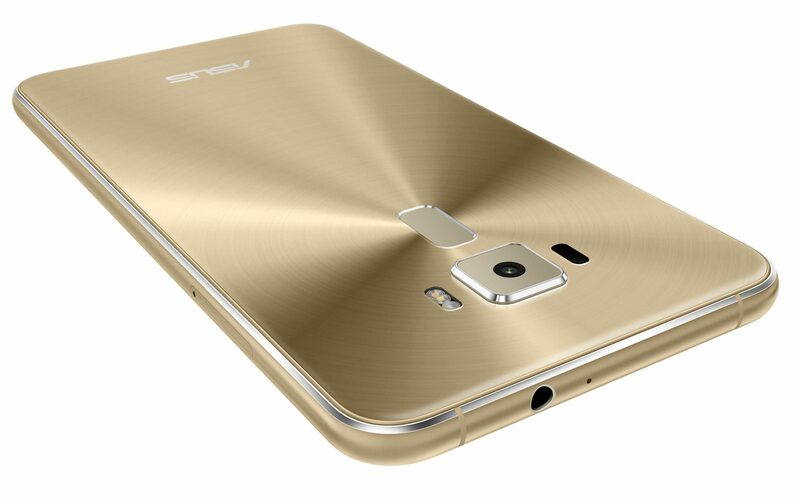 ASUS phones are finally sleek with gorilla glass 3 on both the sides. Now remember this, the phone is very slippery because of the glass back and it is not recommended that you keep the phone on the lap. On the rear side, the phone has the concentric circle design with aluminium alloy frame on the edges. The power button and volume rockers are on the right with sim card tray on the left. On the bottom there is the USB type C port with speaker and primary microphone, while the 3.5 mm audio jack is on the top. The most worrying thing that you might think in the design is the protruding 6 element camera at the back. It may look like the camera lens might break while accidentally dropping the phone. But it has metal edges with sapphire glass coating to protect the camera lens. ASUS has gone differently when it comes to the traditional circle or square design of fingerprint sensor. Zenfone 3 has an elongated rectangle-shaped fingerprint sensor which works just great. Overall I am very happy with the new design of Zenfone 3. 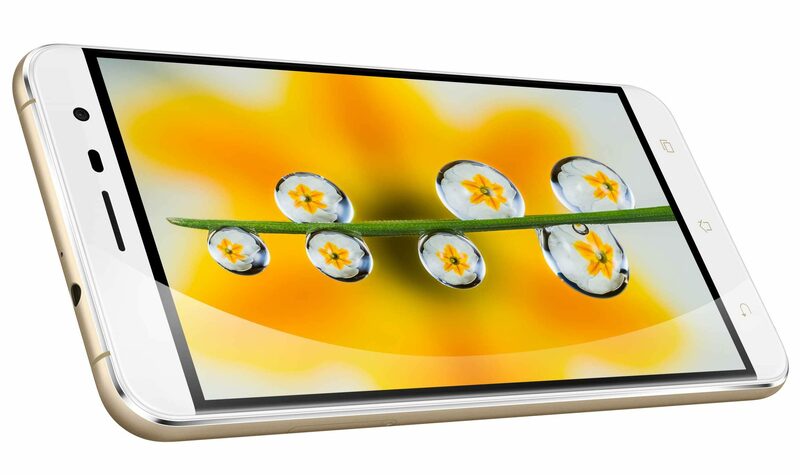 The ZE520KL comes with 5.2 inch full HD IPS+ display and the ZE552KL has a larger screen size of 5.5 inch with same specs. The phone is protected by Gorilla Glass 3 as stated before. The quality of display is improved if we compare it to the previous Zenfone and it looks quite elegant now. The only issues is that, Zenfone 3 still doesn’t have backlight on the three touch capacitive buttons. Zenfone 3 comes with Snapdragon 625 octa-core A53 processor clocked at 2 GHz. Due to the 14nm technology the processor consumes lot less power and I have tested it to find that its true. The ZE520KL has 3 GB of RAM and 32 GB of ROM while the ZE552KL has 4 GB of RAM and 64 GB of ROM. Both the devices have hybrid slots for expandable storage that goes up to 2 TB but you will have to sacrifice SIM 2 to expand storage. This is I guess the first time ASUS has kept a hybrid slot for SIM or Memory card. Coming to the graphics, Zenfone 3 comes with Adreno 506 GPU. I tried playing most of the heavy games like Mortal Kombat X, Asphalt 8, N.O.V.A. 3 etc and the phone did ran them well. The only issue I faced was with Assassins Creed Unity where there were some frame drops. The AnTuTu benchmark score came out to be 62447. Now the best thing about Zenfone 3 is that the phone didn’t heat up even after doing half n hour of gaming despite the fact that it has glass back. If you use 4G+GPS+Heavy Game+Sunlight then it might get heat up, but that is totally bearable. I was very pleased with the hardware and software optimization that ASUS has done excellently with Zenfone 3. For the software part, Zenfone 3 comes with Android 6.0 with Zen UI 3.0 on the top. It has many preinstalled apps that you can uninstall or disable if not in use. Only one thing to remember is disable apps from auto-start manager to avoid background data usage and increase the battery life significantly. This is one of the key feature of the phone in which the improvement is the most. 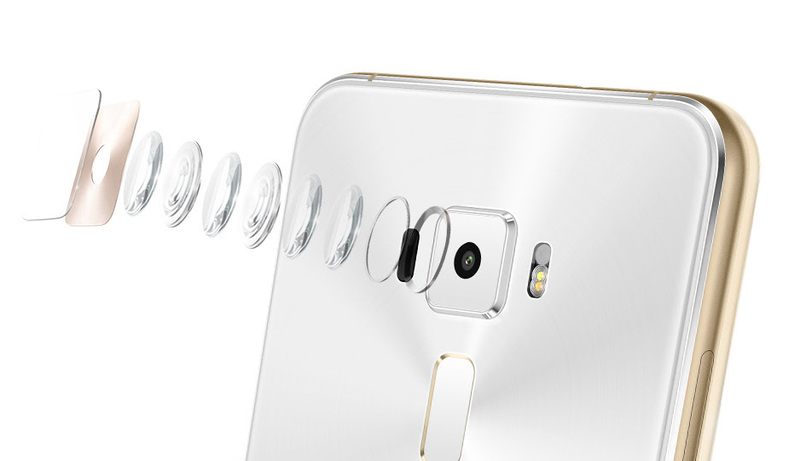 Zenfone 3 comes with 16MP Sony Exmor RS IMX298 6-element largan lens shooter with dual-tone LED flash. It has ‘tritech’ autofocus which uses 2nd generation laser, phase detection and conventional contrast detection that only takes 0.03 seconds to focus. Well I can confirm that the autofocusing works great on this device. The next key feature is OIS(optical image stabilization) for image and EIS(Electronic Image Stabilization) for video which helps a lot to shoot videos while moving. Due to 4-axis OIS the images are quite steady even with shaky hands. The depth of field effect is added to almost every pic you capture using Zenfone 3 and you can notice that easily when you try to focus on a particular object or take a macro shot. The noise in the picture in a low light environment is reduced significantly. Zenfone 3’s camera is capable of recording 4K(3840×2160) videos. Just above the LED flash, there is a color correction sensor. The manual mode is also great for passionate photographers to experiment with the device. The front shooter is of 8MP which works fine to take selfies. Overall the camera of Zenfone 3 is something that will surely impress you. You are reading: Is ASUS Zenfone 3 worth buying? Zenfone 3 has hybrid dual SIM(Micro SIM + Nano SIM/Memory card) 4G VoLTE support along with Wifi(2.4GHz and 5GHz), Bluetooth 4.2, and GPS. The type C port will support USB OTG. For the audio, it has 5 magnet speaker along with NXP smart amplifier which manages to produce decent clear sound output. ZE520KL has a 2650mAh battery while the ZE552KL comes with a 3000mAh battery. I have tested battery performance for ZE552KL and it did amaze me. On 4G and heavy usage I could more than half a day, and with moderate usage I still had some juice left at the end of the day. The optimization done did work to extend the battery life of Zenfone 3. ZE520KL is priced at 21,999 INR and ZE552KL is available for Rs.27,999. There are 3 color variants for Zenfone 3 viz. shimmer gold, sapphire black and moonlight white. Shimmer gold doesn’t looks good at all at least to me. The phone is available officially on Flipkart. So to answer the final question i.e. is ASUS Zenfone 3 worth buying? It is placed in a whole another higher price segment this time. If we speak about the improvements, then yes the device has improved in almost all features. But still I feel that the price is not at all competitive and ASUS should have priced it smartly. If you ask me that whether you should go for the Zenfone 3 or not, then I would say you can go for ZE520KL for 21,999 INR but instead of buying ZE550KL for 27,999 you can go with OnePlus 3 anytime. Though Zenfone 3 has come a lot closer to its competitors, the initial mindset of budget pricing will take some time to adapt in the market. Amazon Echo vs. Google Home: Which is best for India?